My friend Peter Klann, baker extraordinaire, died on March 28. I met him in spring 2002 while working on an article about oil. At the time he was operating a tiny artisan oil mill an hour from Berlin. When I went to see him to learn more (and taste his fantastic products from walnuts, linseed, peanuts, nigella, poppy seed and much more) he told me that his real interest, his soul, was in bread. And we actually met again two years later when bread had reclaimed him and became very good friends. In spring 2006 the presentation of my first book took place at his newly opened bakery Soluna and the open, welcoming and friendly spirit reigning there made it a wonderful event. Today, real bread baked from scratch is almost a luxury product, although German bread-making traditions are so complex that there is less of an avantgarde feeling than in the English speaking world, as witnessed in publications such as Art of Eating (on French bread) or Lucky Peach (#3 chefs passing on sourdough starter etc). In Germany sourdough is still taken for granted. But in contrast to their predecessors a new generation of bakers now feels completely free in their creations from any political or philosophical missions. 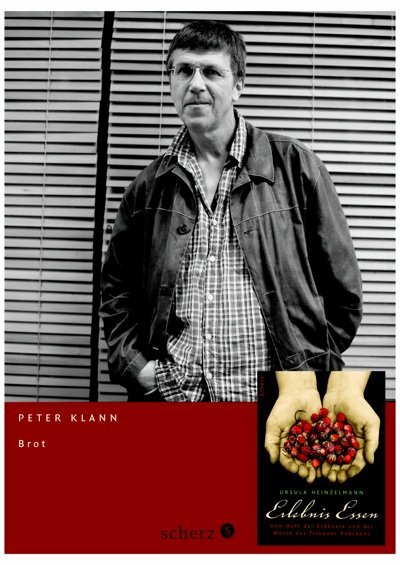 Peter Klann is one of this trend‘s pioneers, picking up on all kinds of traditions wordwide in a multicultural way, often inspired by people who come to work with him or immigrant Berliners. 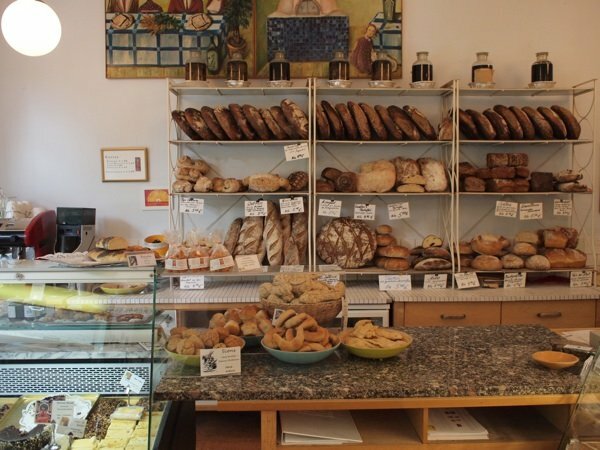 Next to his trademark Rundling, on the shelves of his Soluna bakery you’ll find English scones and petits pains obscures with bay leaves from Provence next to Swabian Dinkelseelen, large breadsticks made from spelt and sprinkled with salt and caraway seeds. Wherever you are now, Seelenbäcker, thank you.